Thank you for commenting, Sarah! I totally have in mind the possibility of adding sizes at a later time if there seems to be a big desire for it. I love this, Bonne! Thank you so much for the tutorial! Pinning now. Please make these toddler size!!!!! please please please!!!! When I download the pattern some of each page is not there.Also should I use regular printer ppaper or a special kind? I’m sorry that you’re having printer issues. The pattern looks perfect on my screen when I open it, so it should print properly. Are you being sure to print “actual size”? There are more detailed instructions for how to print and assemble a pdf pattern right here: http://fishsticksdesigns.com/blog/how-to-use-a-pdf-pattern/. I agree with the other ladies please please make a toddler size!!! Thanks Bonnie,once I read the tutorial and laid it out made more sense. I added the middle piece 2 times as my grandaughter is long.Also can a hood and sleeves be added? I am doing mine out of light fleece as I wanted it a litle heavier. Was thinking with a hood and sleeves plus a 2 in hole near bottom could be used in the car and her bouncy seat. Pattern would be great as I am a novice. Very cute. I had one of these for both my kids. Loved it. Kept them warm at night but still let them move their arms. Like this one, mine zipped bottom to top which was ideal for late night diaper changes without waking baby. Mine was heavier. It was cotton and lined with terry fabric. My sister bought it in Europe for her kids and passed it on to me for my two. I still have it and was going to make a pattern from it as I have never seen a baby sleep bag like it for sale here in the States. All the ones I saw were zipped top to bottom which made no sense to me. Yours looks like a lighter version of mine. Would be good for summer babies. Thanks for sharing! I just made two Baby Sleep Bags for a friend who recently had twin girls. These are the cutest pieces I’ve ever made! You can find pictures on my flickr page: https://www.flickr.com/photos/98217175@N05/sets/72157644763152974/ Thanks for the great pattern!! It was fast, simple & rewarding! 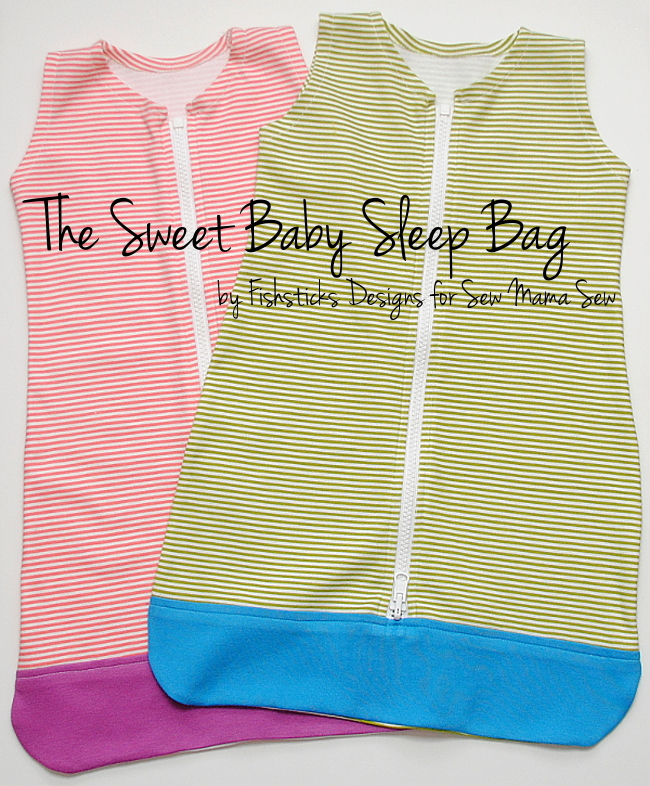 Thank you for sharing the baby sleep sack, your pattern is very easy to follow and I appreciate that. Have you had the opportunity to replicate this pattern for older babies? I need a 12-18 months and not quite sure how to increase for the upper body part. Thanks again for sharing your craft.